As 2011 comes to an end I wanted to look back and say how thankful I am for the good fortune I have had. As a singer I was blessed to release my first album with songs I am honoured to sing, and musicians I count myself lucky to play with. It was an amazing experience. I am currently looking at summer festivals to play and to have the cd reviewed for national exposure. I will be featured in the spring in an INDIE online magazine Rising Magazine – that is exciting. Videos of the latest concert in Nelson can be viewed on youtube check out my first compositions, Closer, co-written with Carol Street http://www.youtube.com/watch?v=QLZLmNgz5C8 plus three more videos. Movin’ On, written by my friend Janet MacEwen, and Liz Tansey, was a show stopper! Happy New Year everyone, thanks for your support. The band has been rehearsing for 2 weeks now. Last night we hit some great moments, it was very exciting to hear the songs come alive with a 7 piece band in the same room. When you record an album and each musician comes in separately, it is hard to get a sense of awe until it is all finished. Last night, as we stood (some sat) in a circle playing and singing as a unit, it felt great. I have one week today to put all the pieces together. I hope all my friends in Nelson are coming to celebrate the music at Finleys next Friday night. I am so excited that my friend , Kim Adamson, is coming from Vancouver for the concert; yeh, Kim! Another good friend, and writer of Honeymoon’s Over, is trying to come from Vancouver for the concert also. Come to Nelson, Anthony! Sydney Galbraith, Rick Lingard, Darren Mahe, Steve parish, Jesse Lee, Danille Corbin, Tim Bullen and special guest, Carol Street. – and me. Digital Downloads at cdbaby.com. cd for sale at concert. Hope to see you next week! Tickets at Finleys and Otter Books – 250-352-5121. Please enjoy these two free downloads. My page at cd Baby is at http://www.cdbaby.com/cd/pathenman Click here and go directly for digital downloads. Honeymoon’s Over is the first song off the album to get national play. It is written by an old friend of mine, Rant, from Toronto. Right click and open in new tab. That is it. The CD has left the building. John and I can’t make any more changes or improvements. It is done. Amazing. Eighteen months later and all that music will come to me in a big box in two weeks, wrapped in cellophane. Ready to sell at the concert. I just can’t believe that is it! To put all that time , energy and so many people’s talent, into a little flat package. Ah well, that is what it was about, create a piece of art. I feel good about it. The cd is up on cdBaby, it should be live soon. Plus, I am uploading it to VibeDeck through Facebook for sale. It’s funny, someone asked me the other day if I was thinking about a second album and I said no, too much work and I am no spring chicken anymore, to which he replied, “it’s like having a baby, in two years you’ll feel differently”. I thought that was funny. I won’t be having any more babies either! 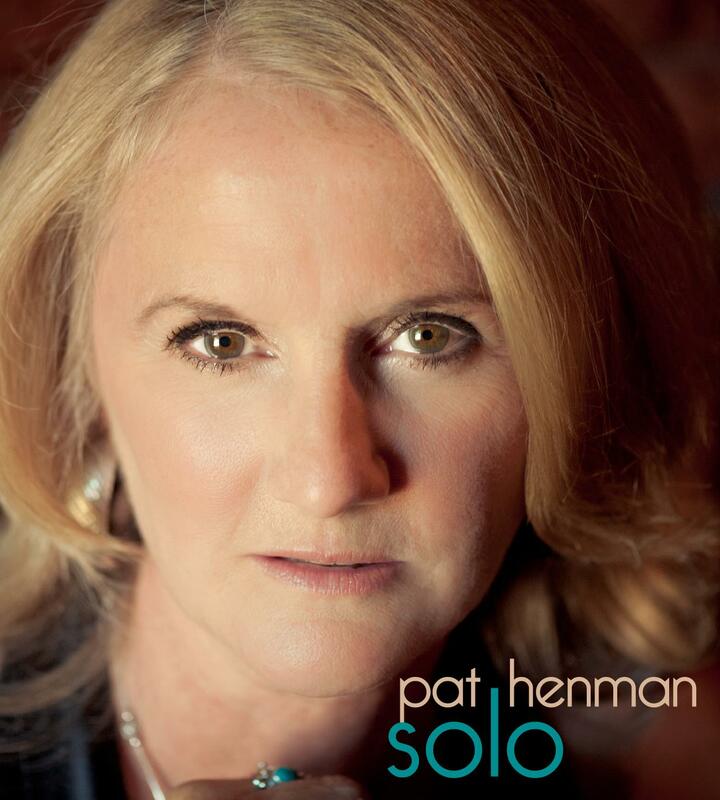 Pat Henman Solo cd Home Page.